Movietown Plaza Getting Green Light? Park La Brea News reports that by the end of August, Trader Joe’s will stand alone in the Movietown Plaza in West Hollywood, as every other shop in the center received letters this past week from owner Casden Properties to vacate in preparation for a new development. These types of stories never seem to be pleasant, usually yielding charges that the developers are being heavy handed and unfair. And that is the case here as well. 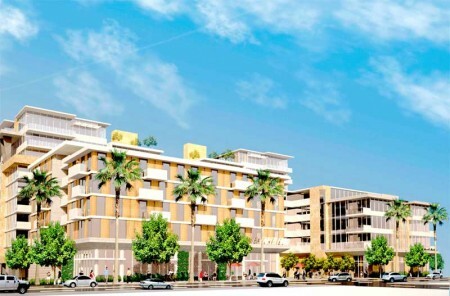 Notices informing tenants that they would have to vacate almost immediately just came after the West Hollywood City Council voted on June 21 to give the developer $75 million in tax-exempt state bonds for the project to support the low-income housing component. 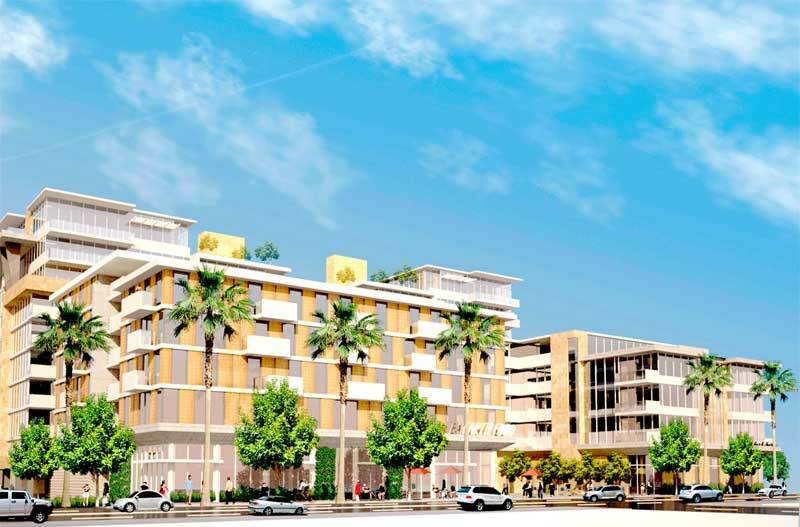 The development will be replacing the aging shopping center on Santa Monica Blvd., between Fuller Avenue and Poinsettia Place. For some tenants, like Rao Batchu, owner of The Bombay Grill, uncertainty lingers with less than six weeks to find a new location. For others, like Linda Kim, owner of the Fashion Bank for 15 years, it means the end of business altogether. For more, check out the extensive article at Park La Brea News with more from the tenants facing eviction, and the detailed background coverage of the project at Curbed LA. I wonder how much campaign $$$ Casden will be giving to Heilman, Horvath & Land? West Hollywood is governed by scumbags. Adding: West Hollywood is covered by the Weho News, Weho Daily, the Independent, Park LaBrea News, the Los Angeles Weekly, and on and on. Somebody go pull the city council’s campaign finance reports and show how much money the councilmembers have received from Casden and others at his company. All you have to do is show up at the city clerk’s service window. I think it is abhorrent they have treated the remaining tenants at Movietown plaza. I have long been a patron of Bombay Grill and the other merchants besides Trader Joes. It is despicable that they pulled the timeline to August, giving them little time to relocate and putting their livelihood in jeopardy. These are Mom and Pop businesses except for Trader Joes, who they have so graciously selected to let stay. These actions are reprehensible without regard for those whose lives that are affected. They should give these businesses a chance to find an alternative space without putting their businesses at risk and extend the deadline. I am not happy to see this monstrosity of greed and debt being built when there are so many empty condos and empty affordable housing promises in Hollywood. I will miss Movietown plaza, now we get to fight in another aggro subterranean paid parking deck with the same homogenized stores. I totally support the project!! It will revitalize the neighborhood and improve the city by adding density, architecture, and pedestrian-friendly environment. Finally, the city is slowly (but surely) getting better! This is great news!! The blighted area needs to be redveloped, and I salute the project. I wish the West Hollywood Daily would be less biased and more objective, especially when stating their negative reaction “These types of stories never seem to be pleasant, usually yielding charges that the developers are being heavy handed and unfair. And that is the case here as well.” The newspaper’s opinion is wrong on so many levels!! “These types of stories never seem to be pleasant…” – says who?! This story actually IS plesant. The newspaper mentions nothing about the great improvements that the project will bring. The developers ARE acting fair. Shame on West Hollywood Daily! !